An update for the Android Wear companion app began its slow rollout yesterday in preparation for the big Android Wear firmware update that is going to hit smartwatches over the next few weeks. 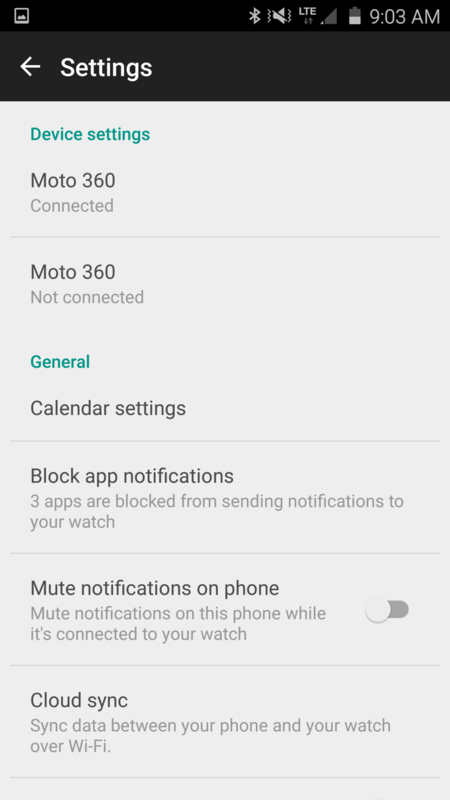 The update adds a handful of new features, including cloud sync over WiFi that allows you to keep up with notifications and use voice search when you aren’t connected to a phone’s Bluetooth. 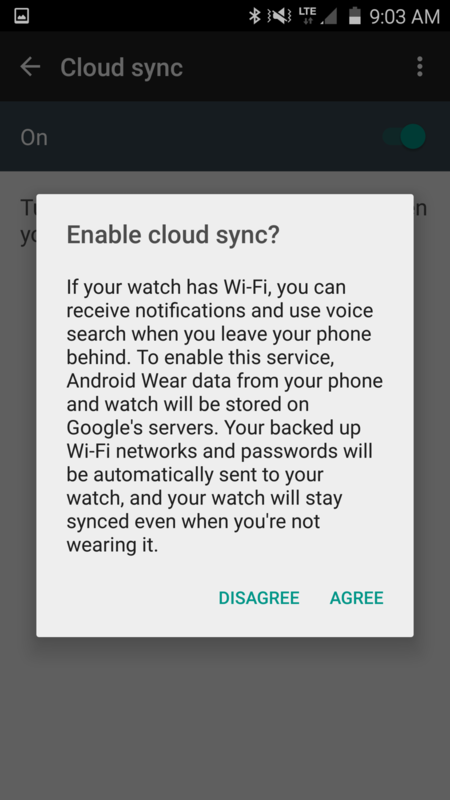 Cloud sync over WiFi, as I just mentioned, lets you sync data between your phone and watch while on WiFi, assuming your watch can connect to a WiFi network. 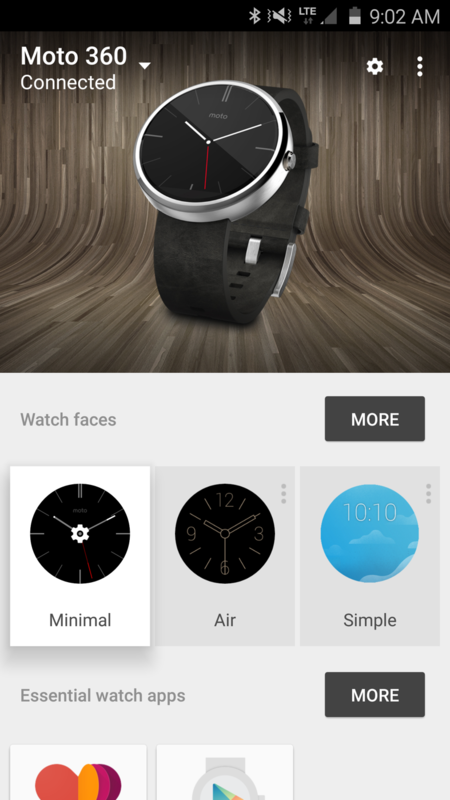 Most Android Wear watches will soon be able to in the next firmware update, outside of the original G Watch. 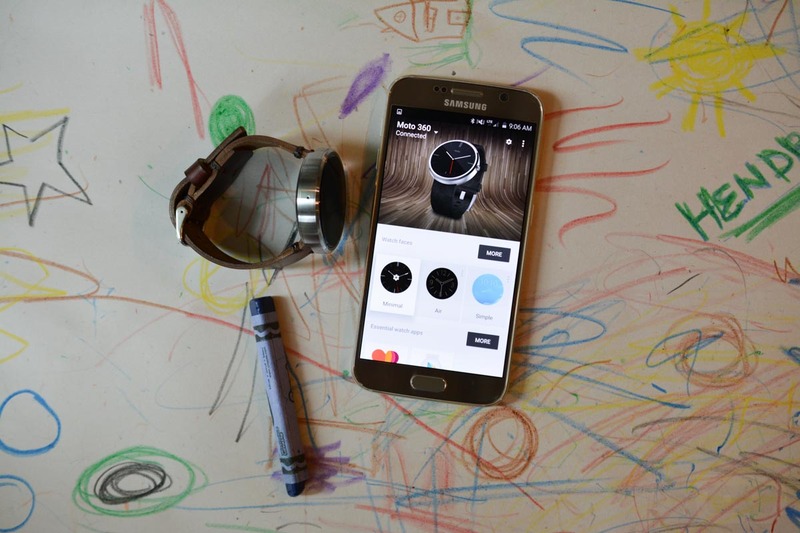 But devices like the Moto 360 and G Watch R will be good to go. 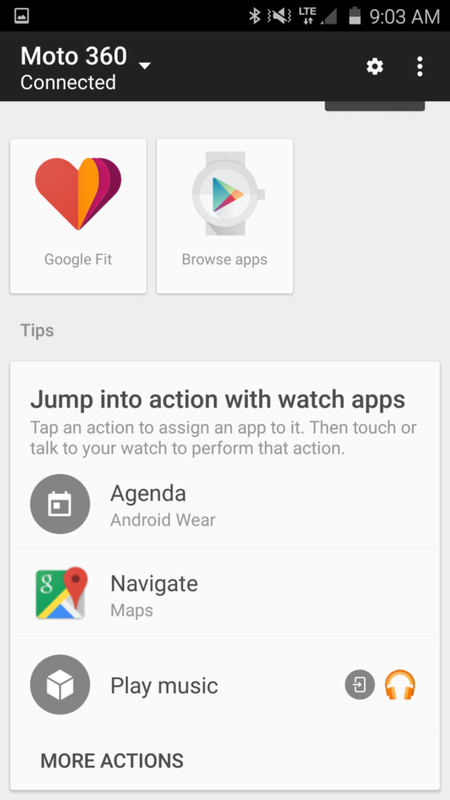 In the newest Android Wear app, there is a simple toggle that enables cloud sync. The rest of the update is equally as important, in my opinion. 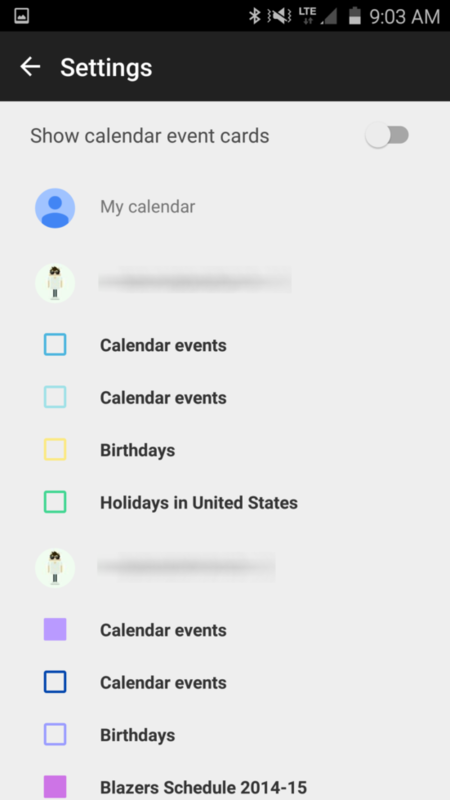 For one, you can now connect and keep track of multiple Android Wear devices. 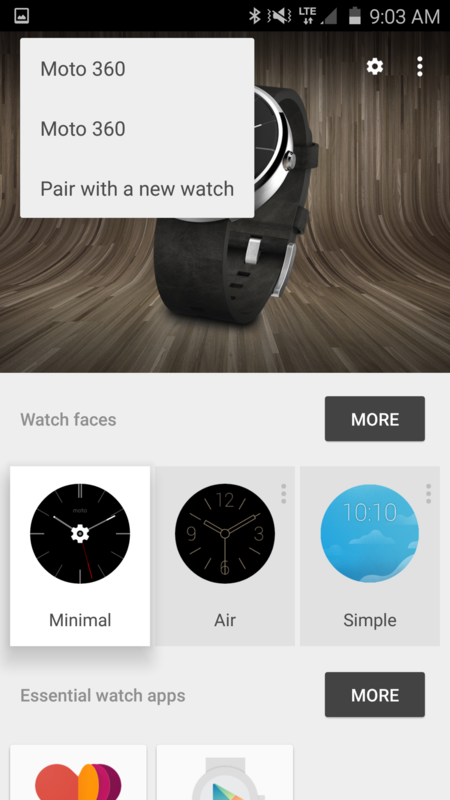 Instead of forgetting and pairing new devices, you can create a list of watches that are all stored in the Wear app. 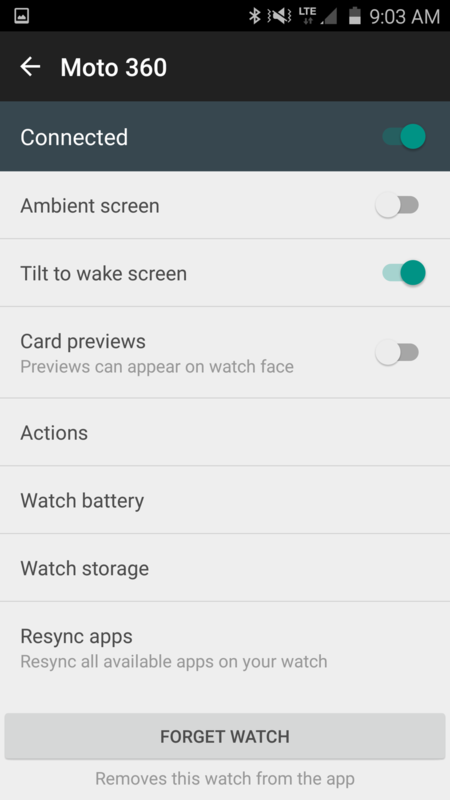 With each watch’s info stored, you can then maintain their specifics, like if ambient screen, tilt to wake, or card previews should be on. You can also check the battery and watch storage. The update also includes additional UI tweaks and better control over individual calendars.